I did promise to post and take a lot of pictures but 2 days before my trip I got this really really bad cough 😦 and I was on medication almost the entire trip and did not take as much pictures as I would of wanted to. 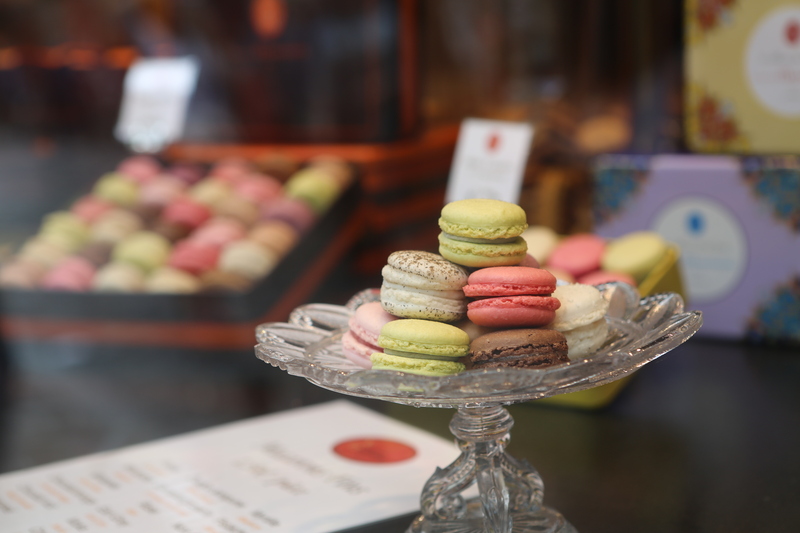 We did not come across too many macaroon shops. This display window caught my eye the most, and of course I had to get few. 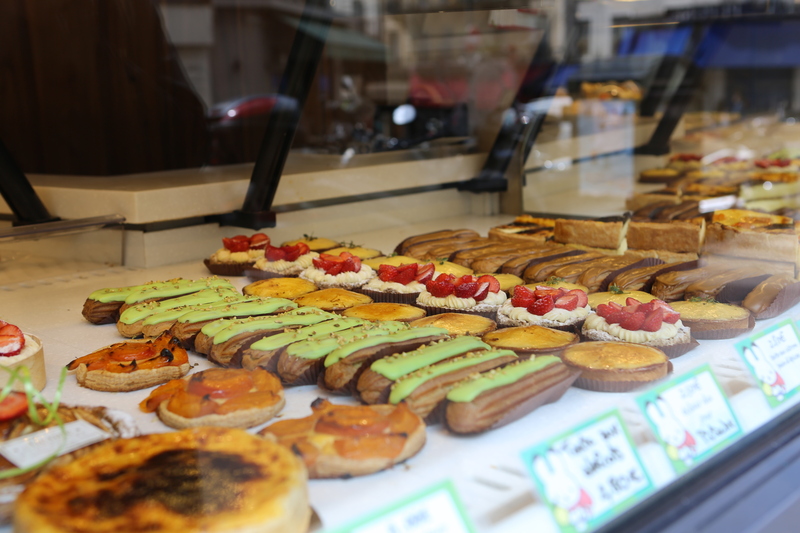 Wouldn’t you just want to eat pastries all day long 🙂 I mean they all look so inviting. 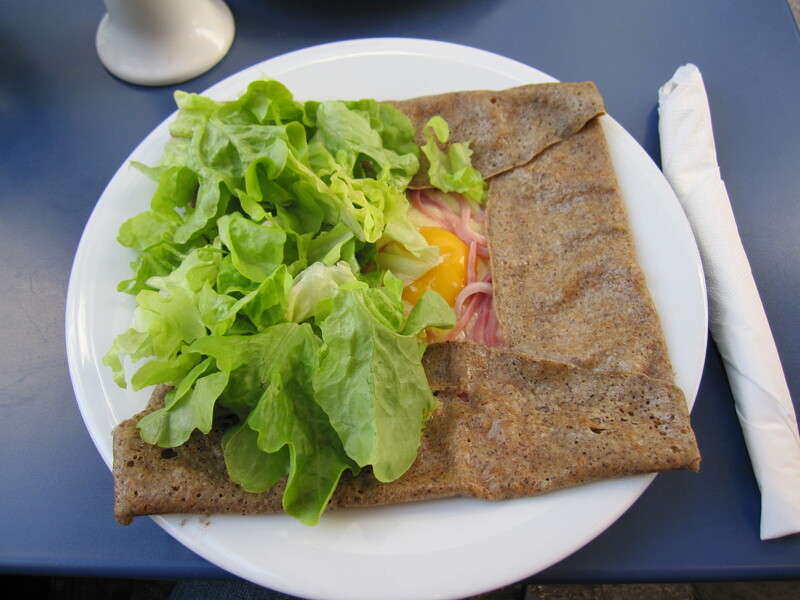 This was the best crepe that I have ever tasted, ham and cheese with fried egg on top. Amazing! My plan is to recreate it at home! Interesting looking tomatoes that we saw everywhere. Wow. 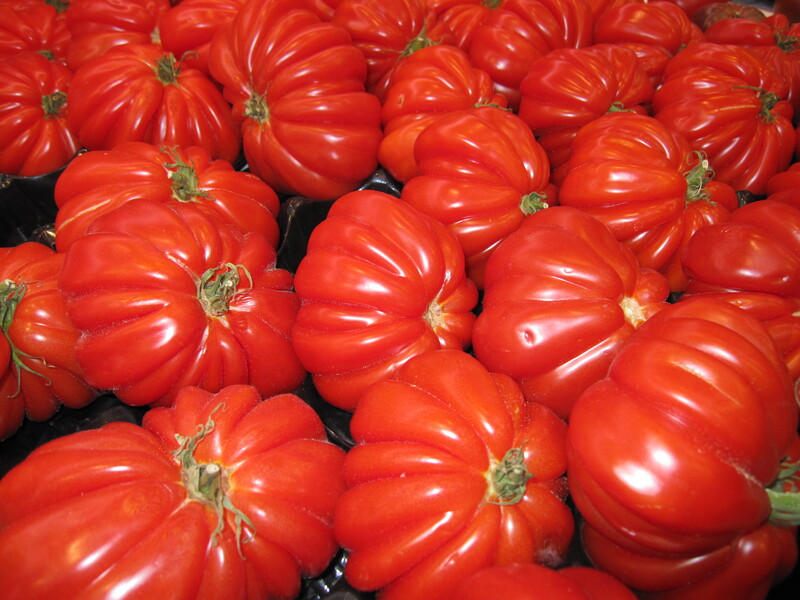 I have never seen these cool shaped tomatoes here in Toronto. 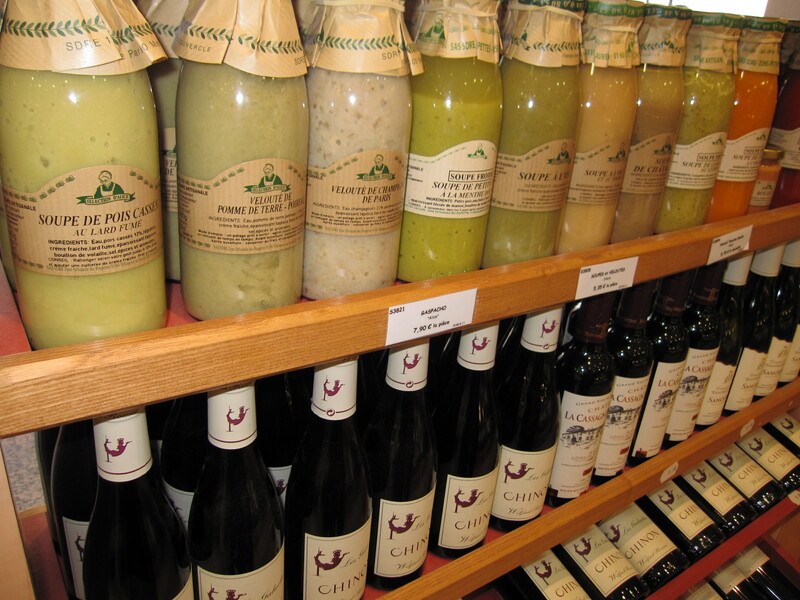 Soup in a bottle. I thought it was very cute! Despite my horrible cough, we had a wonderful time exploring the streets of Paris, and almost 2 weeks later, I feel better but still need to figure out the source of my cough.